Thurmond Insurance opened its doors May 1, 2005 with an exclusive Allstate agency. To meet the expanding needs of the clientele, Tim Thurmond expanded the agency’s market by taking the agency from an exclusive agency to an independent agency in November 2011. By expanding our markets from one insurer to now over a dozen home and auto companies, three dozen commercial companies, and numerous brokers, Thurmond Insurance can now address all insurance needs. As an independent agency, Thurmond Insurance has expanded its coverage with agencies in Murray and Bowling Green. While we provide central coverage in central and west Kentucky, we are also licensed in other states to better serve you. Thurmond Insurance is also an endorsed local provider by Dave Ramsey, a well-known financial advisor. We’ve also been given the honor to receive “NewComer of the year in 2011” and in 2015 we received the award “Most Profitable Agency”. Tim Thurmond as agency owner, opened the doors of Thurmond Insurance on May 01, 2005. Since this date, Thurmond Insurance has grown to become one of the leading Home, Auto, Farm, and Business/Commercial Insurance Agencies in West Kentucky. Thanks to outstanding relationships Thurmond Insurance joined forces with Agents Helping Agent’s (AHA) Corporation. This relationship enabled Thurmond Insurance to lead the region with a tremendous volume of Insurance Providers, thus providing a competitive arsenal of pricing and security for our customers. Thurmond Insurance has become a multi-award winning agency vs. 140 agencies within the AHA organization! Tim is a long term resident of Murray, KY., a graduate of both Murray High School and a Business Degree at Murray State University. He has been extremely active citizen for the community, supporting the Youth, his Church and a number of community civic organizations. While serving on the local Murray Baseball/Softball Association as President, he also coached the Youth for three generations (25 years). Additionally, Tim has developed and owned Thurmond Properties since 2002, a Landlord Business that now has grown to 30 of the newest and nicest rental facilities in Murray. In 2017, Tim completed a very contemporary new office construction for Thurmond Insurance that is uniquely developed to best serve both our existing and new customers. Additional plans are considered to add more buildings on the Thurmond Insurance Campus to provide a professional business center so you may all experience that convenient one stop shopping experience. 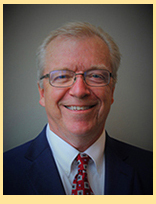 Please come by or call Thurmond Insurance today to see how Tim and his team can best serve you and your family. 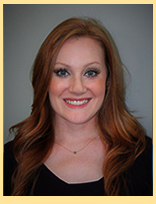 Mrs. Noelle Thurmond, is a Licensed Property & Casualty Agent at Thurmond Insurance. While having access to over a dozen insurance personal line providers, Noelle is responsible for the complete review of our new clients’ exposures and matching then with the company that best meets their needs. Noelle is a long term resident of Murray, Ky. She is a 2002 graduate from Calloway County High School, and earned her Bachelor of Science Degree in Advertising from Murray State University in 2008. Noelle recently celebrated her 5th year of marriage to Mr. Jake Thurmond, whom is also a Racer Alumni. They live with their fury son, Bear – the Yorkie! Noelle welcomes your call or visit today, and would be happy to assist you in maximizing your insurance dollars! 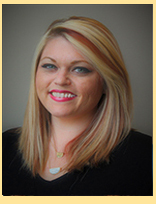 Ms. Kayla Wallace, a Licensed Property and Casualty Agent, leads the Thurmond Insurance Team service department. While serving as an account manager for Thurmond Insurance, she also heads up the Retention Department. She monitors each and every policy that renews to make certain our existing clients premiums do not suffer with those “unexplained rate hikes” !!! With Thurmond Insurance’s wide range of providers, she proactively communicates with our clients to recommend the very best company and options for our clients. Additionally, Kayla is there for you at the most important time– Claim Time! She takes great care to assist you through the entire process when that unfortunate accident has occurred. Kayla and her family love being Murray residents. She and Adam have four beautiful children between the two of them. Three of them attend school and church here locally and one resides in Texas. The “boss” of the house is “Charlie”, their larger than life Boxer Puppy! Stop in today to share a cup of coffee with Kayla and see our new office! 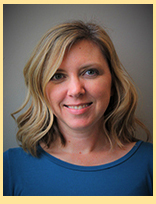 Shannon Thurmond Cox is the office manager and licensed sales producer for personal lines. She will help you with your transition to Thurmond Insurance as well as helping to make sure you are getting the best coverages for your money. Shannon is married and between the two of them, have 4 kids. She loves watching her daughters swim meets, track meets, and her sons’ baseball games.